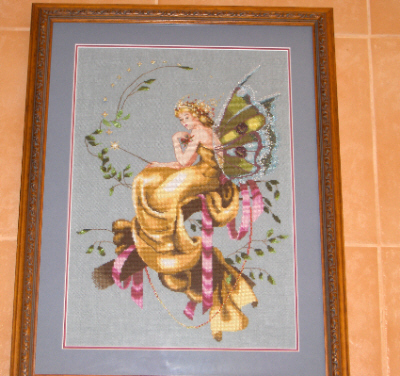 This gorgeous Mirabila fairy took literally months to stitch so she is priced to reflect the cost of the fabric,threads, beads and framing and a little of the time it took to stitch her. It was hard to photograph this picture, she looks much better in real life as the beads and metallic threads in her wings really enhance the design. 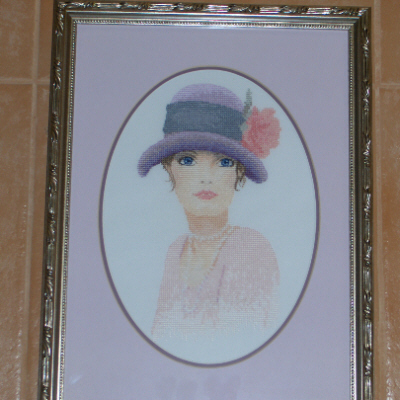 Frame size is 55 x 43cm, design size is 39 x 28cm.